I received Sugar 2.0 complimentary for review purposes. 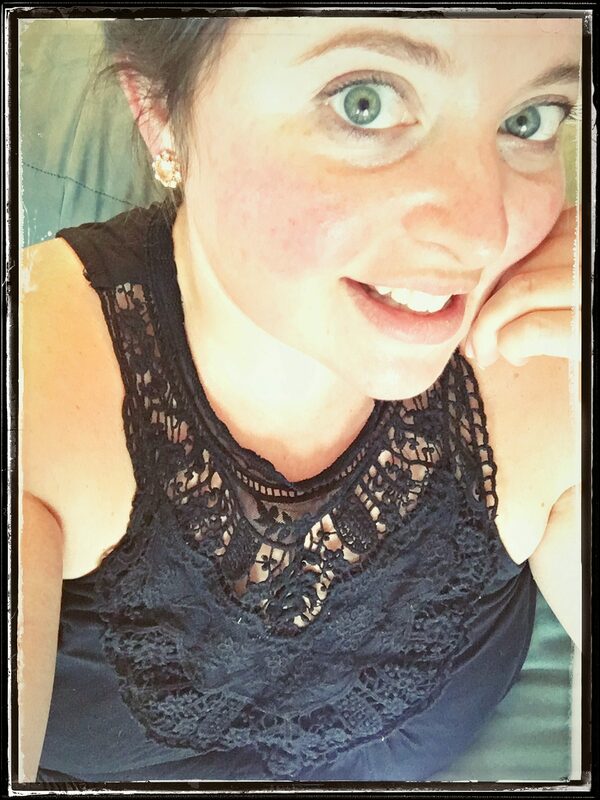 As always all opinions and thoughts are my own! Today I’m whipping up some sweet after school snacks! 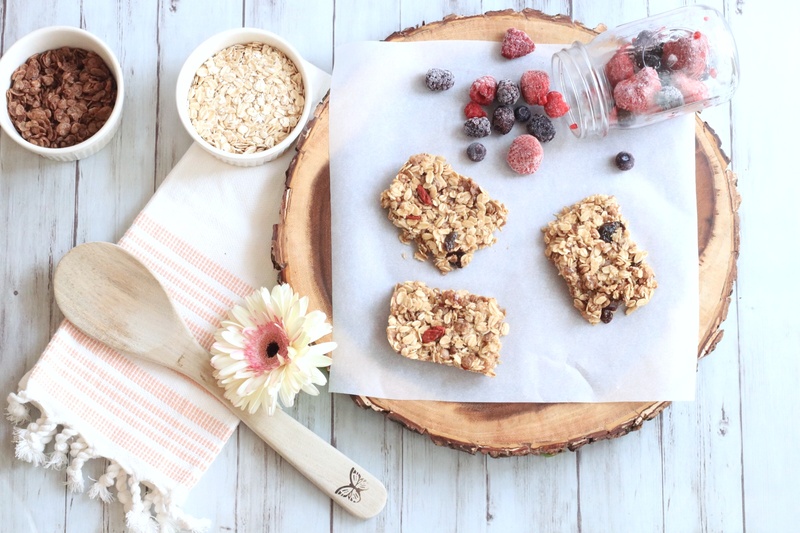 These Triple Berry Oatmeal Bars are as delicious as they are healthy! Comprised of Rolled Oats, Cocoa Rice Cereal, and lots of Berries! 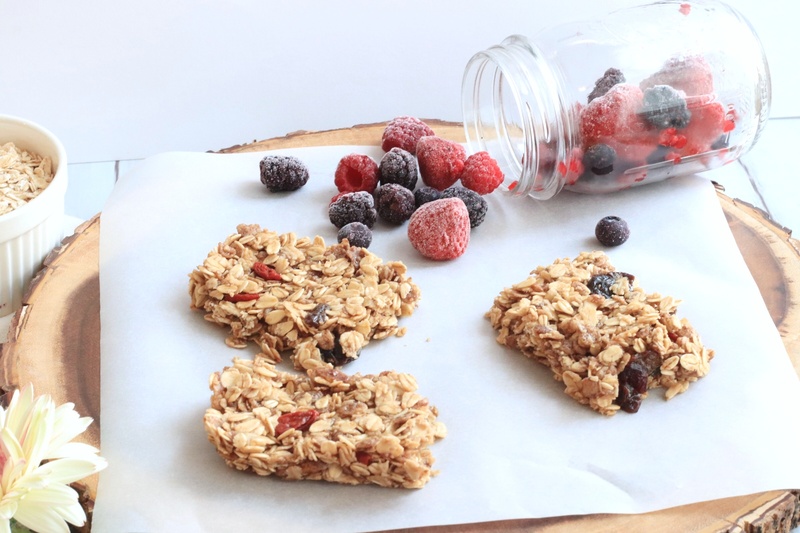 You can customize this easy recipe by adding in whatever fruits you prefer. I’m using dried strawberries, goji berries, and blueberries. I’m also using Sugar 2.0. It’s half sugar & half fiber which makes it a healthier option. I love the way it taste, because it’s always made with 100% real cane sugar. I also love that when substituting it in recipes, it’s a one for one ratio, so no unnecessary math calculations are needed! Sugar 2.0 recently released Honey 2.0 as well! Equally delicious, I’m using it as my sticky component for these bars! 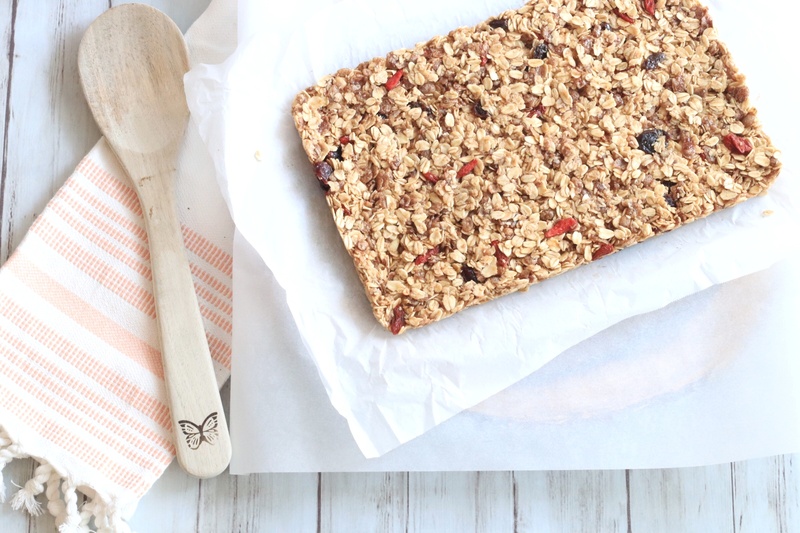 Keep in mind these are no bake bars, so they come together quickly! First, in a large bowl combine your dry ingredients. Add in the Oats, Rice Cereal, Sugar, Dried Fruits, and Cinnamon. Tossing them evenly. Next, in a small bowl combine your melted butter and vanilla. Pour this mixture right over the dry ingredients. Mix well! Drizzle your honey over top of your other ingredients, mixing with your spoon until they are evenly coated. Add the water, mixing again. The consistency at this point should still be crunchy, but sticky. Line a baking pan with parchment paper. 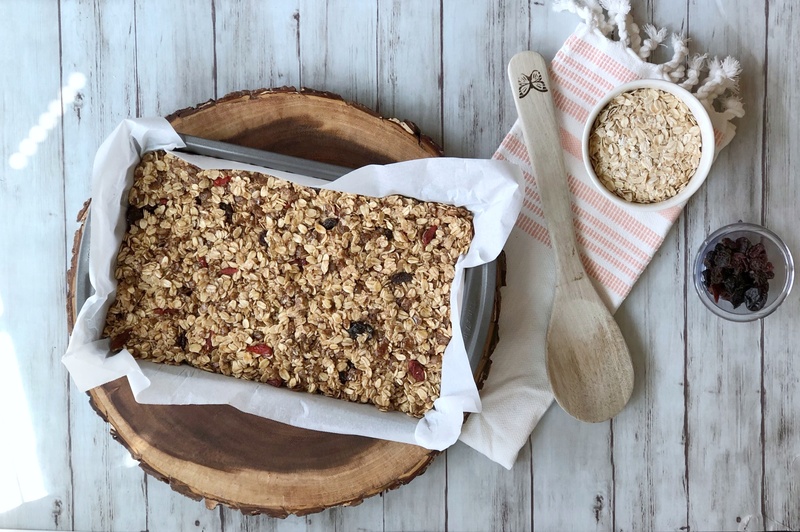 Transfer your oat mixture in to the pan on top of the parchment paper. Using a spoon or spatula spread the mixture evenly flattening it out. Loosely cover the pan with foil. Place the pan either in the fridge for four hours or the freezer for two hours. Once the bars have set in place, cut them into squares or rectangles. 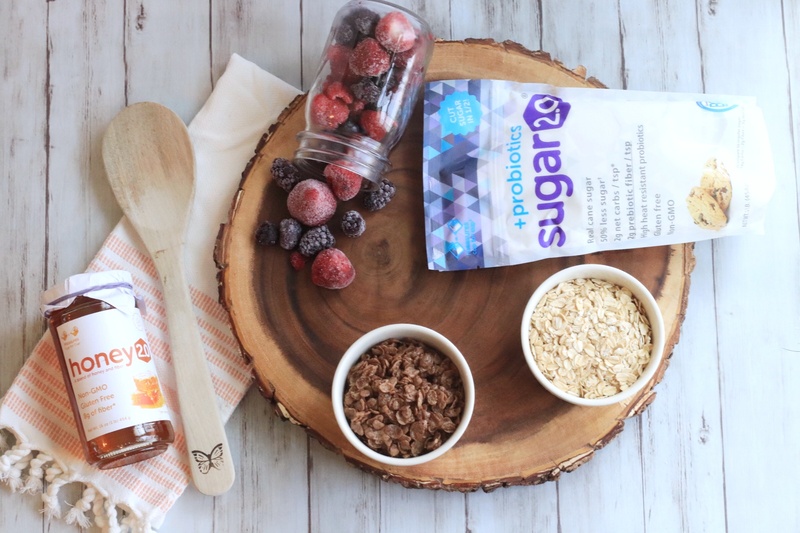 Now you have the perfect after school snack or easy grab and go breakfast! Combine your dry ingredients (Cinnamon, Sugar, Oats, Dried Fruits, & Rice Cereal). Mix well. Drizzle your honey over the top of your other ingredients, mixing with your spoon until everything is evenly coated. Add the water, mixing again. Transfer your oat mixture in to the pan on top of the parchment paper. Spreading it evenly. Loosely cover your pan, placing it in the freezer for 2 hours or the fridge for four hours. Oh these look yummy! At first I thought you baked them but then read the whole recipe. Thanks for sharing this with others. OH MY GOODNESS! These look so good. I’m sure my kids will love them. My kids would absolutely love these!! I’m definitely going to make these this week, and I’m so happy you shared about sugar 2.0 I hadn’t heard of that product and it seems great! Wow These look amazing! My kiddos love berries! These look amazing! My youngest has a peanut allergy and a lot of oatmeal bars are off limits for him. I need to start making our own; they look so easy to make! MY kids will LOVE these! 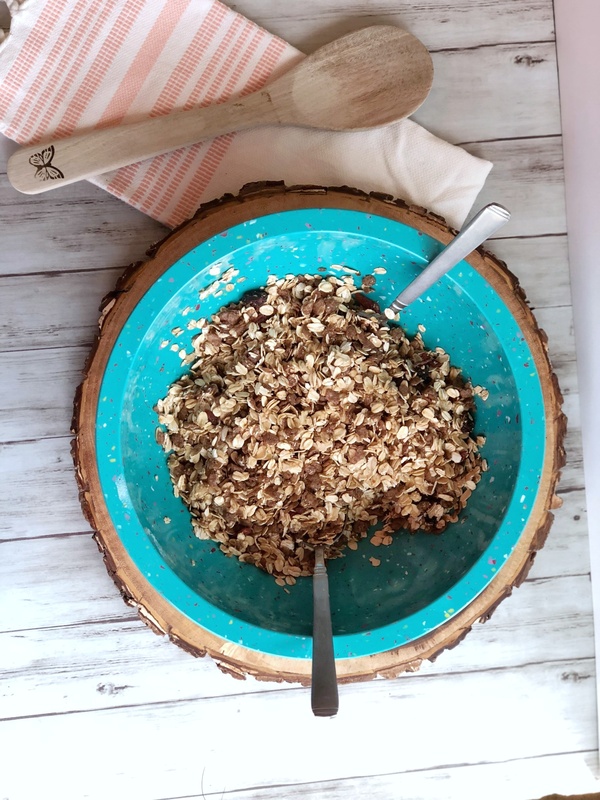 They are all about a granola bar and this recipe looks simple and delicious…which is a WIN in my book! Thank you for sharing! I can’t wait to try this recipe! They look delicious.